Extremely gorgeous apartment in the centre of the city (this means a lot of shops), but very quiet nonetheless. Very hospitable and pleasant hostess! Delicious pain au chocolat from the (cheap) bakery right in front of the apartment's medieval building, which is also right around the corner from a supermarket! Wonderful view from the window. Situation plus que parfaite, en plein centre, appartement cosy, rideau occultant nécessaire. Gentillesse et empathie de notre hôte pour qu'on passe un très agréable séjour. 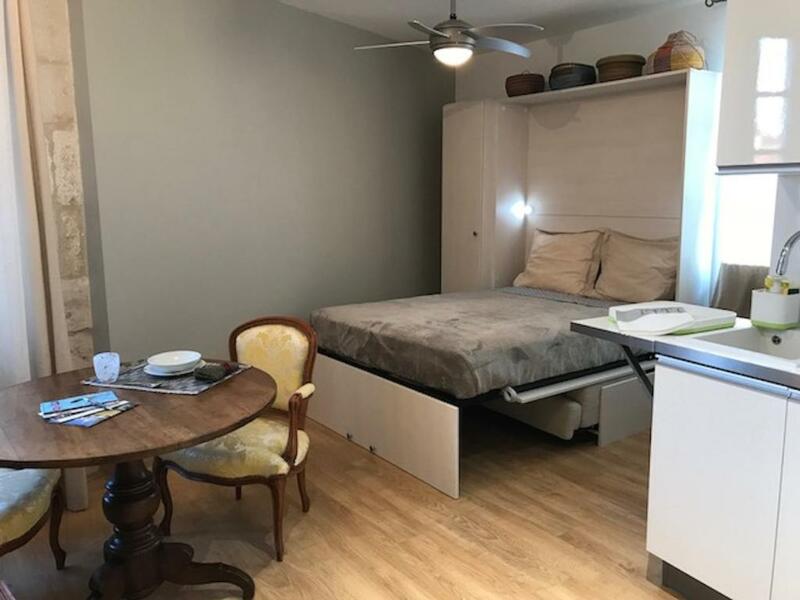 Le pub au bas de l'appartement devient un bon point de chute et le cachet de la décoration. Дизайнерское оформление аппартаментов: стильно и уютно. Спальня под потолком просто воплощение детских фантазий. Вид из окон на черепичные крыши старого города. Чувствуешь себя Карлсоном! А за окном узкие улочки древнего города, где хочется бродить и потеряться. 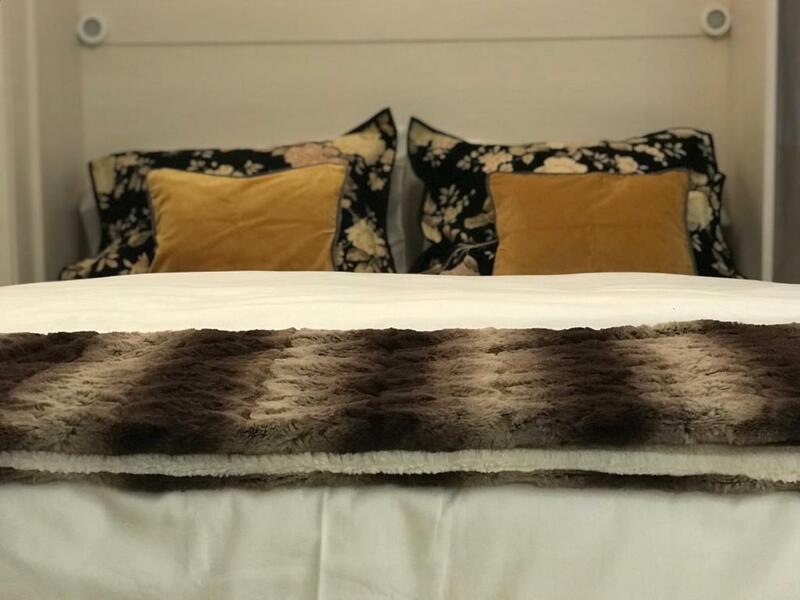 Todo: la ubicación, la limpieza, la decoración del departamento, los múltiples detalles de confort y máxima calidad que encontramos. Y especialmente destacable nuestra anfitriona que nos colmó de atenciones dentro y fuera del departamento. Quedamos agradecidos y encantados. Un diez no, un once. Es un apartamento precioso, ideal para una o dos personas, que tiene todo lo que te pueda hacer falta. Decorado con esmero, cuenta con alta calidad de todo, como vajilla, cubiertos, sábanas, toallas y mobiliario. 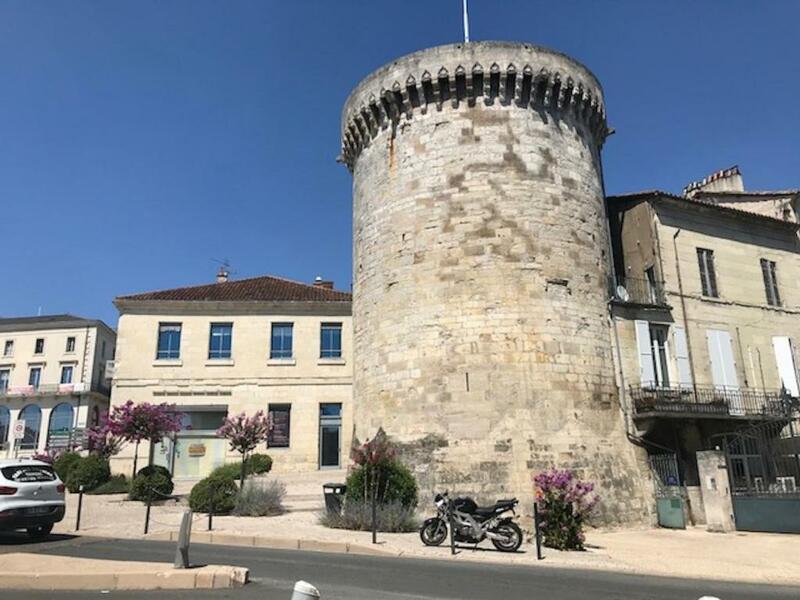 La ubicación es inmejorable, inmerso en la parte antigua de Perigueux, en una zona tranquila y en una casa de piedra. Y, por si fuera poco, la dueña es extremadamente amable, muy preocupada por que no te falte nada. Encima, me encontré una botella de Champagne que me había dejado para celebrar la llegada. María Josefina, la propietaria, había pensado en todo. Totalmente recomendable. Seguro que vuelvo a ir. Maria Josefina fue de lo más amable. El apartamento no podía tener mejor ubicación, muy pequeño pero suficiente para dos personas y los espacios muy bien aprovechados. Nos ha encantado Perigueux pero a las 8 de la tarde nos recogíamos ya para gozar de nuestro rinconcito. Si algún día decidimos volver, repetimos seguro! Des murs en pierre, une ambiance cocoon, la mezzanine et une situation au coeur de Périgueux. Propre et bien aménagé. Tout y est par passer un bon séjour. Lock in a great price for Bijou Apartment In Perigueux – rated 9.5 by recent guests! 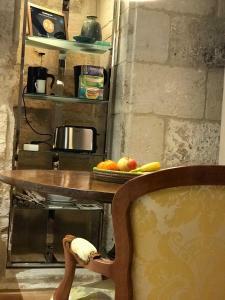 Bijou Apartment In Perigueux offers accommodations in Périgueux, 38 mi from Bergerac. 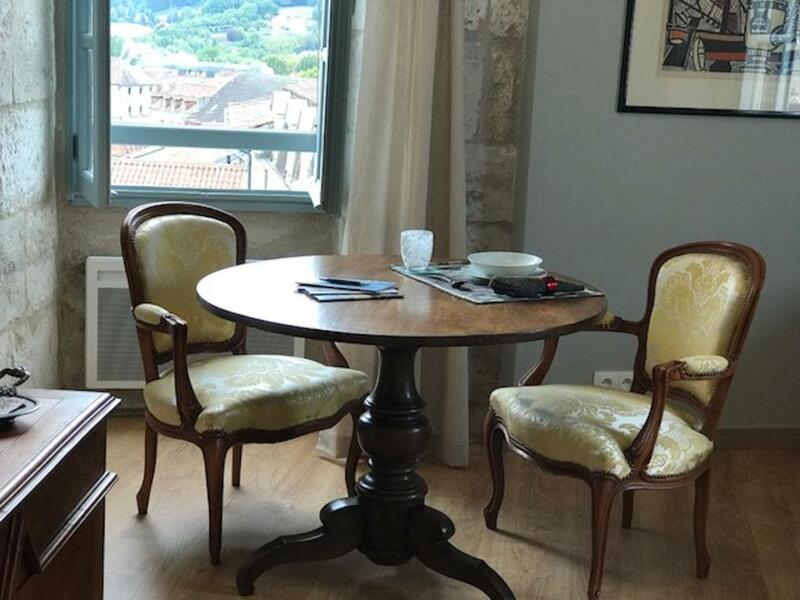 Bijou Apartment In Perigueux features views of the old town and is 28 mi from Saint-Sauveur. Bordeaux is a 90-minute drive away. The unit is fitted with a kitchenette. A flat-screen TV with British channels is offered. The property is accessible by train. Bergerac-Roumanière Airport is 32 mi away. When would you like to stay at Bijou Apartment In Perigueux? 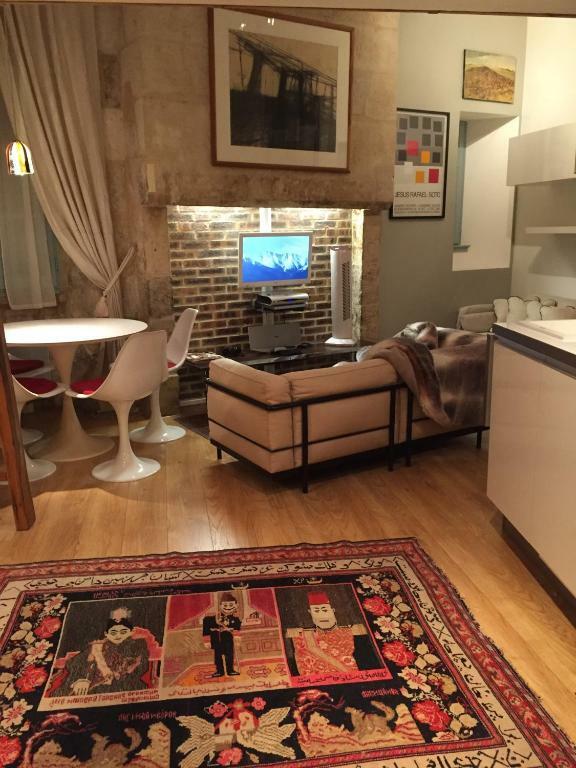 This apartment has a electric kettle, seating area and flat-screen TV. There is also a washing machine. This studio features a flat-screen TV, washing machine and soundproofing. 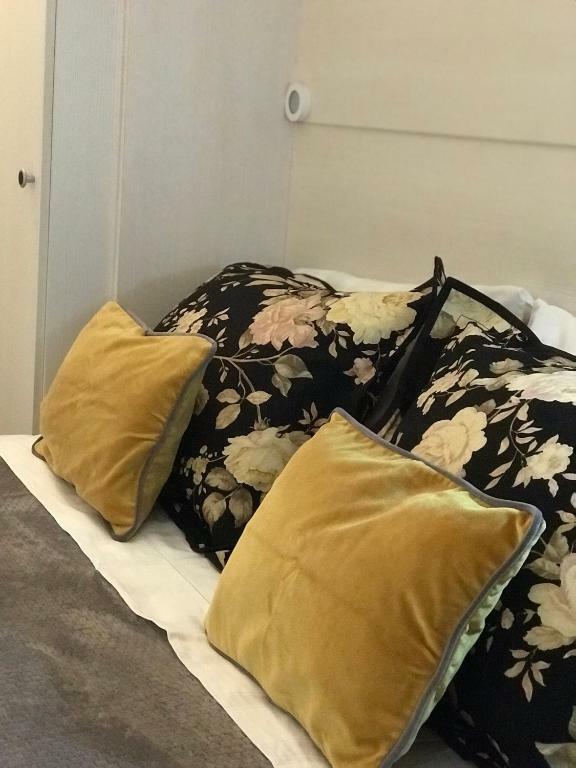 Our bijou apartment is in an ideal setting for those that like to have all facilities at their door step. One can arrive via numerous train connections with Paris, Limoges and Bordeaux. The Perigueux train station is just a slow 15 minute walk away. The apartment is equipped with modern fittings in a history layered landmark with foundations that date to the middle ages. It is an ideal, comfortable and elegantly appointed place to stay for short or long periods. The apartment itself offers top of the range ulta modern facilities. It is a self contained studio including architect designed kitchen and designer bathroom fittings. It also benefits from a 7 sq. mts mezzanine sleeping area with a full size orthopedic mattress which allows comfortable main room floor space. ( Please note that the access to the bed in bijou is by a steep wooden ladder so it is not recommended for people with mobility issues. The entrance to the shower is also narrow and it is not advisable for people with issues related to size). 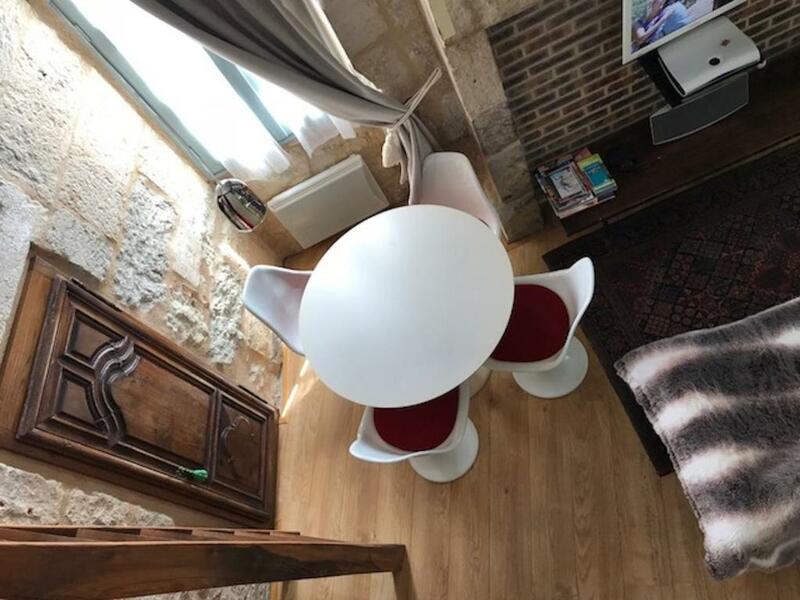 You can relax watching a movie on your flat screen TV or read a book on a Le Corbusier sofa after a magic day walking through historic Perigueux and its surroundings. I am a fine artist and a singer that enjoys and respects old architecture and history having engaged in many restoration projects worldwide throughout my life. My family and I bought a ruined property in the Dordogne region in 2004. We have brought up two wonderful children and slowly but surely have constructed our dream life in a dream setting. It hasn't been easy but I take pleasure in sharing the beauty of our creations and discoveries with our guests from all over the globe. It's an encouraging pat on the back, and makes all the efforts worth while. We have other properties at our home address: Gite le Maine d'Autana & "La Ferme" Du Domaine, that we also rent out as gites, offering our guests a rural setting with modern fittings as well as a delicious pool in the summer months! 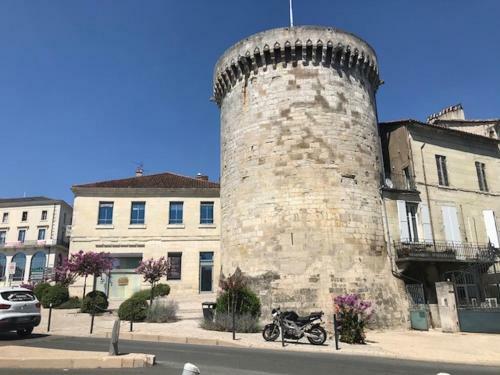 Perigueux is a thriving little city with the most beautiful and elegant markets. The "perigourdins" take pride in their well deserved gastronomic reputation and do very well at sharing it with people ready to appreciate this privilege. As one does in the Dordogne, last Saturday, late morning, I was strolling through the old city center with some old friends and they were surprised with the vitality of the city. We went into a well- stocked wine bar of charming local ambiance where each of us had a glass of very impressive local wines. We then strolled over to one of the many delicious restaurants and my friends were fascinated by the local high cuisine flavours of a simple "plat de jour" offered at a very reasonable price. As well as checking out The Cathedral Saint Front, the Museum Vessuna and all the culinary delights and sights, one can also take a short drive of about 40 minutes to the prehistoric caves of Lascaux II & !V, the Saint Emilion wine region, the elegance and charm of oysters and wine on the beaches of Arcachon (at about 2 hours distance) amongst others. 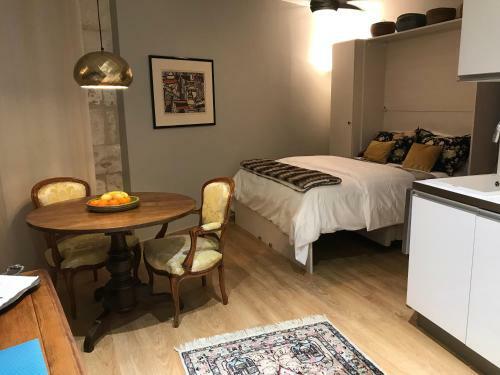 House Rules Bijou Apartment In Perigueux takes special requests – add in the next step! Please note that the access to the mezzanine bed in the Studio Apartment is by a steep ladder and the apartment is not recommended for people with mobility issues. A damage deposit of EUR 350 is required upon arrival – that's about 395.59USD. This deposit is fully refundable at check-out as long as there's been no damage to the property.